I love learning about processes, and how things are made. When I was little, I watched an episode of Mr. Rogers where he visited a crayon factory to show how crayons are created. The machines, the assembly…it all got me! Ever since then I’ve been hooked – I love to see the “behind the scenes” of the products I love. 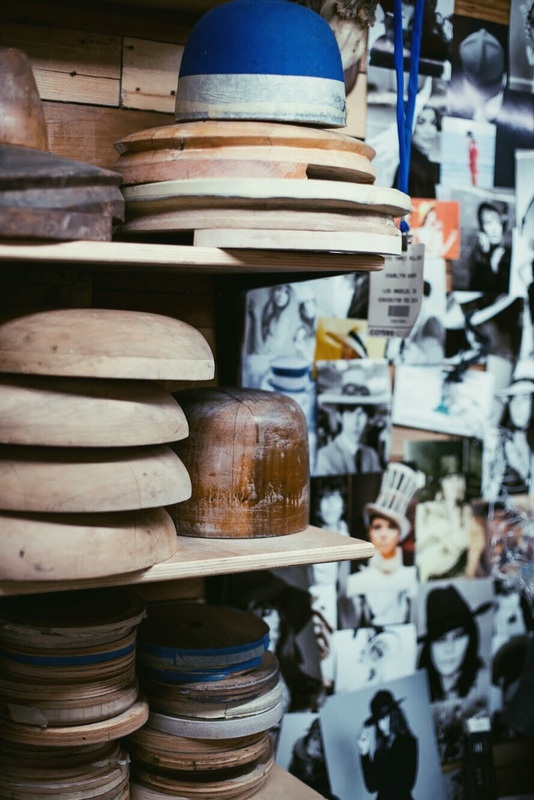 This is why I was so excited when Blake and I were invited into the studio/office space of Gladys Tamez Millinery. First of all, a few things you should know about Gladys Tamez. 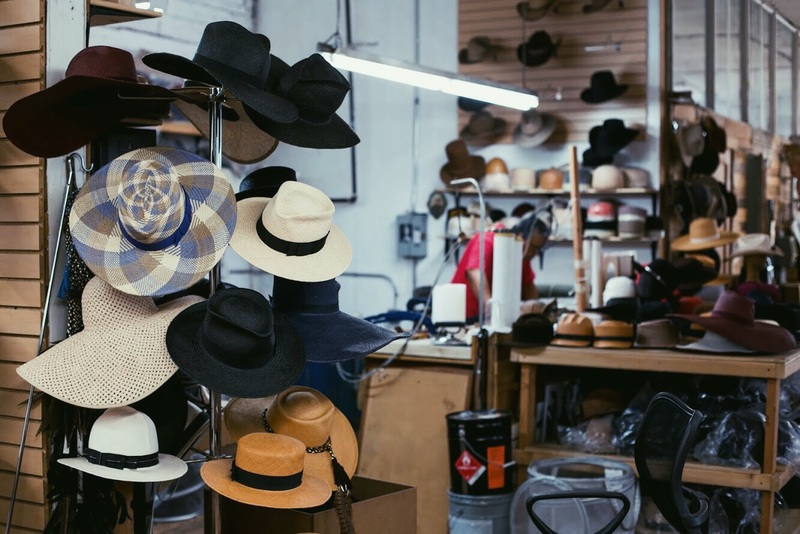 Gladys designs the hats herself, and then every hat is hand-made to order in her space in L.A. by her very own hat-maker, Armando. Her work is worn by so many celebrities in the music and film industry, and used by top stylists all over the world. The day we went to see Gladys was a typical hot, summer day in downtown L.A. As we walked into her studio, I actually felt nervous, and I wondered who else had walked up these stairs for an appointment with Gladys. I couldn’t help but wonder just what exactly Gladys would be like. Let me tell you, she was amazing. We were greeted so warmly, and felt immediately comfortable. 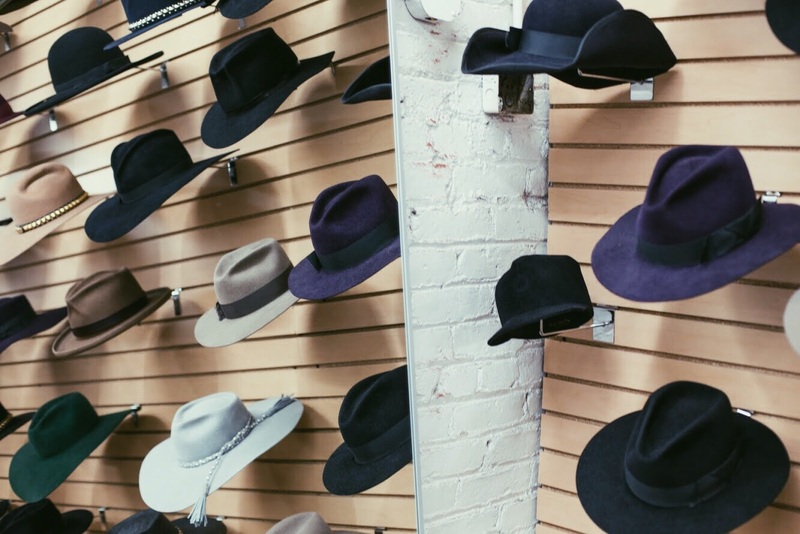 I couldn’t take my eyes off of the hats lining the walls, but Gladys didn’t mind one bit. She let me touch and try on anything and everything. 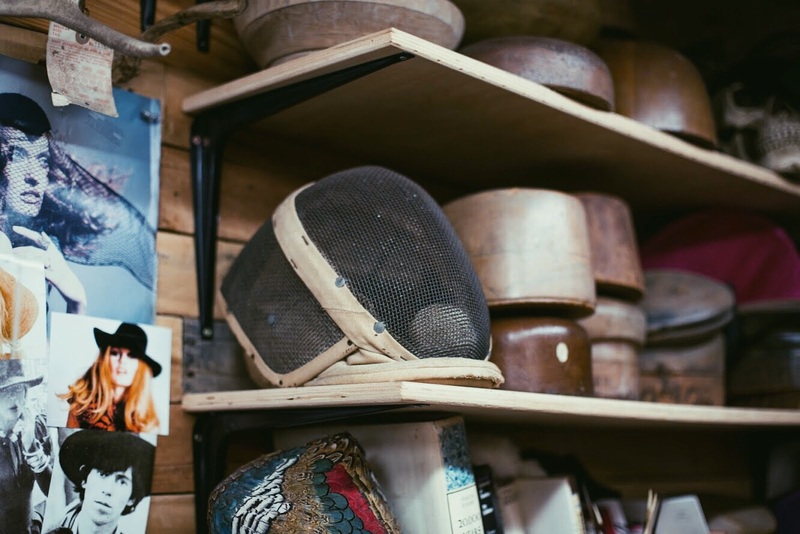 Blake and I learned a lot about hat-making, from the molds to materials used. We were privileged to have our heads measured by Gladys herself, and embarrassingly enough, we have the exact same sized head! (Shouldn’t mine be smaller?!) Gladys was so sweet and waved off my embarrassment, telling me it must be because I have such nice, thick hair ;). As for my first Gladys Tamez hat, I felt overwhelmed with the decision at first. 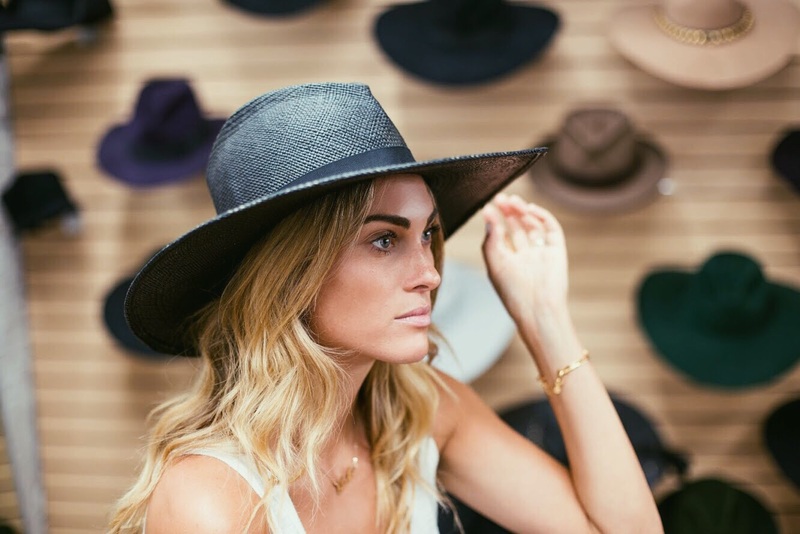 I knew that I wanted something light for summer, something black, and something with a wide brim…but not too wide! The hat Gladys came up with couldn’t be more perfect for me – it was better than I could have pictured! I ended up with the Jackie O in black Panama Straw, pictured below. We were also lucky enough to sit down with Gladys for a little Q&A. Scroll down to get to know her and the brand a little bit better! A: Mexican, born in Texas. Q: Tell me something you remember from your childhood. A: My mother’s bookstore, because I had the world at my finger tips. Q: Did you wear hats when you were younger? 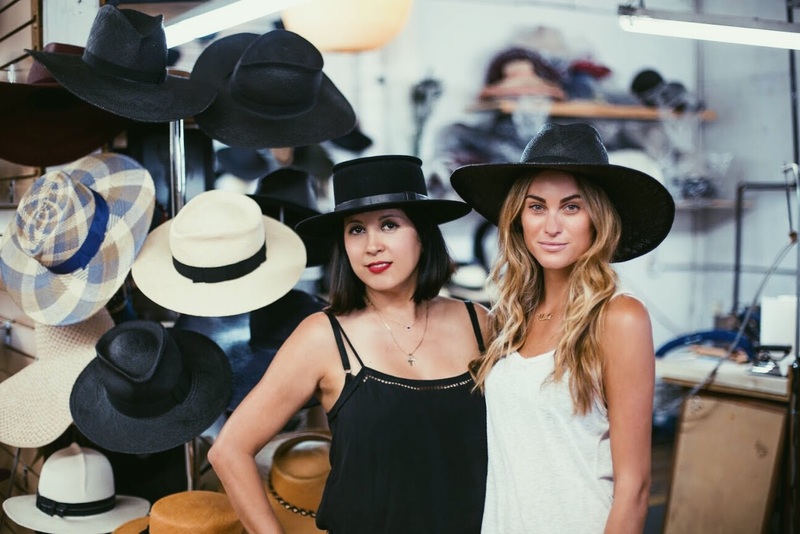 A: Yes, I come from a Taurino family and we wear hats at the bullfights. 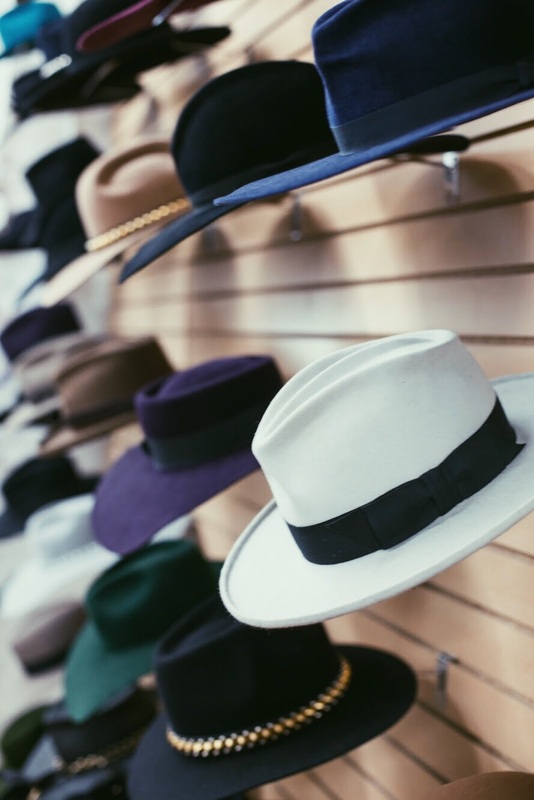 Q: Can you remember your first hat? 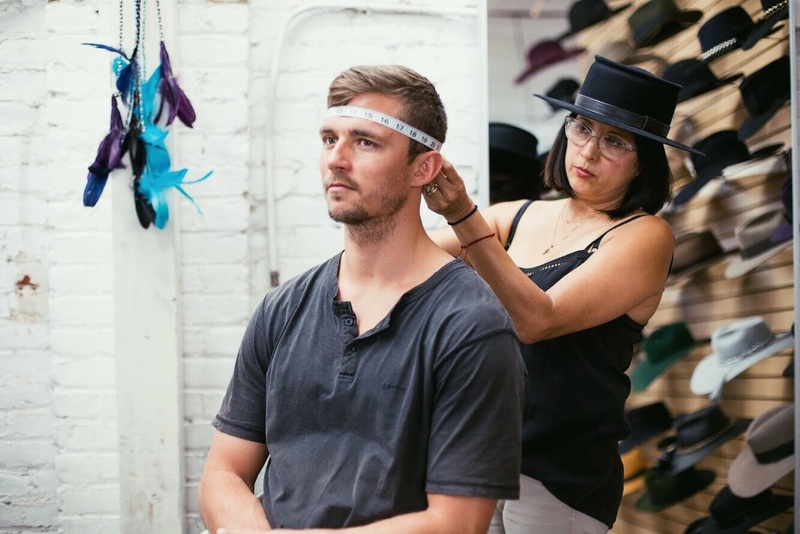 Q: Do you have a favorite hat you’ve designed? Q: What or who was it for? A: It’s from my fashion icons collection, and was inspired by Bianca Jagger. Q: When did you first become interested in fashion? A: When I was 11 years old, I started looking at Paris Vogue in my mother’s bookstore. Q: Who was your first style icon? A: Halston and the Halstonettes. A: My inspiration comes first from a mood I feel, and that mood can come from different places such as books, traveling, art and architecture. 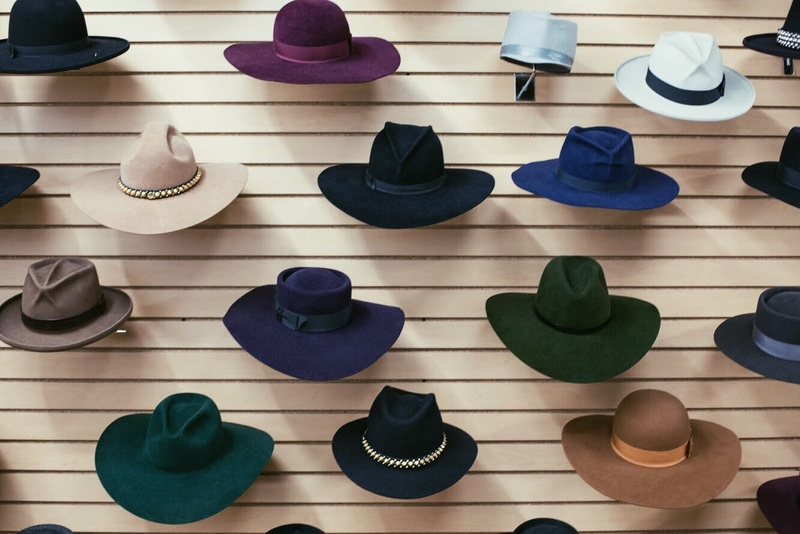 Q: Which of your own hats would you say you wear the most and why? A: The Gemini ( I am a gemini) from my Zodiac Collection, because I feel it’s good luck. 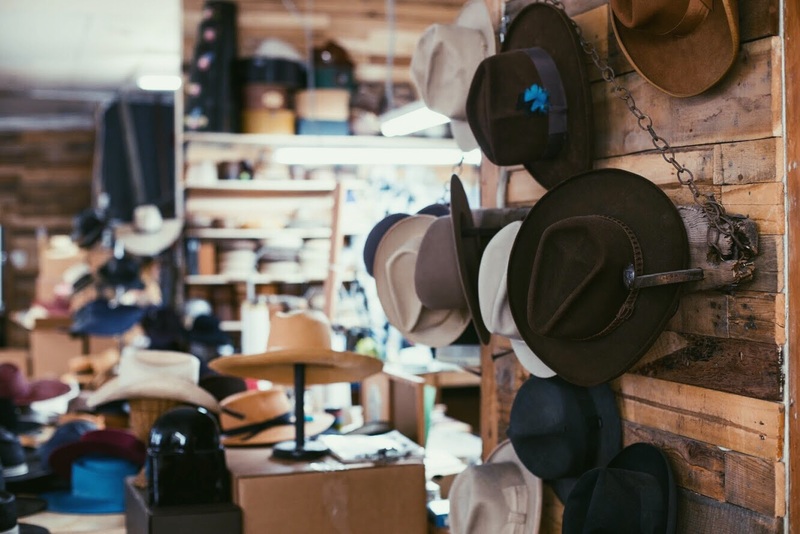 Q: What do you want people to know about your hats/designs? 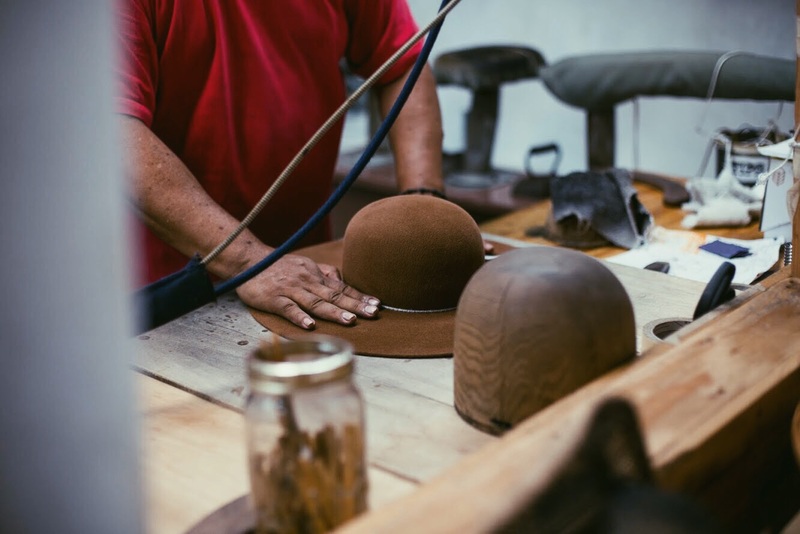 A: Every hat is made by hand, with the finest materials available. A: To believe in my own instincts and follow my heart, but nothing comes with out hard work – especially anything worthwhile. Q: What advice do you have for someone picking a hat? 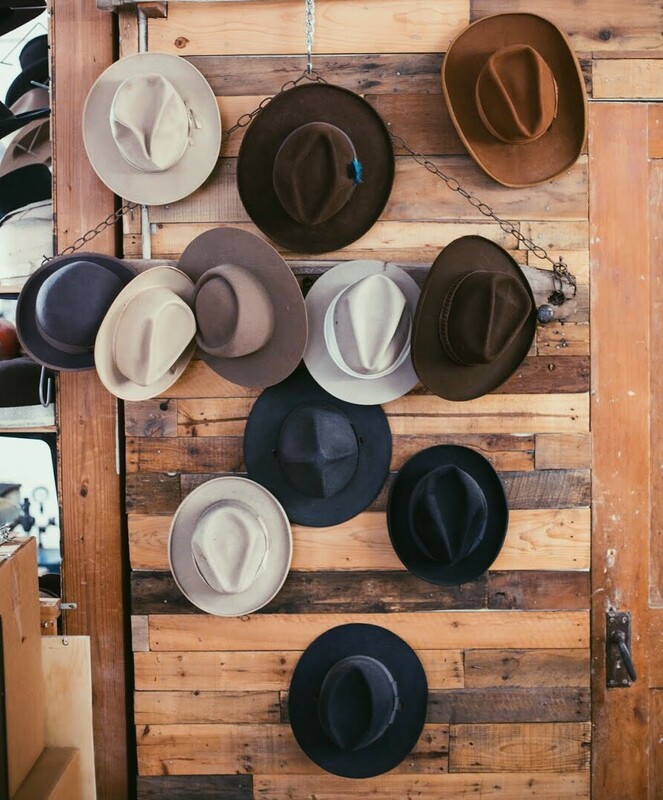 A: Every hat tells a different story. Choose what represents your style and goes with your personality. Take care of it by treating like its your Chanel bag and wear it with confidence – but always have more than one option. Thank you so much to Gladys, Courtlyn, and Armando for having us. What a memorable day! **As we were leaving the studio, we snapped some pictures of my new hat. Scroll below for outfit details!